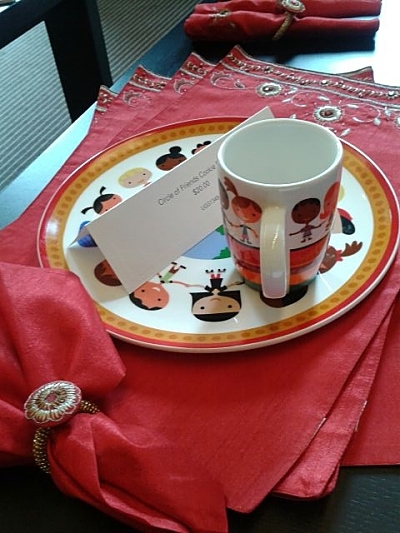 This holiday season, shoppers can help save young lives by giving unique gifts from UNICEF. From beautiful greeting cards and home décor to jewelry and children’s toys, a portion of each card or gift sold benefits UNICEF’s work to protect and improve the lives of millions of children in more than 190 developing countries. To shop online or to learn more about UNICEF programs, visit www.shopcardsandgifts.unicefusa.org. 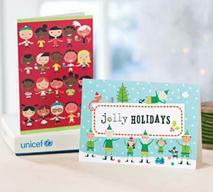 UNICEF boxed cards (from $10 to $20) are available for purchase online and at Pier 1 Imports and IKEA stores. Individual holiday cards (ranging in price from $2.50 to $5.99) are also available at Barnes and Noble and select Hallmark Gold Crown stores and retailers nationwide. For all UNICEF cards purchased in Pier 1 Imports and IKEA, the retailers will donate 100 percent of the purchase price of each holiday card pack. IKEA will also donate an additional $1 per pack sold. 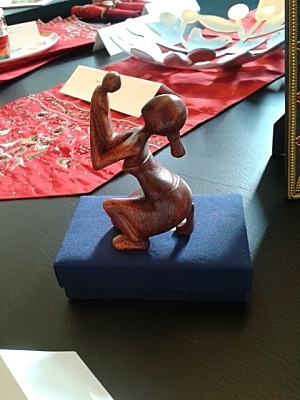 UNICEF Inspired Gifts offer a different type of gift-giving option. Urgently needed items such as life-saving medical supplies, ready-to-eat therapeutic food, and polio and measles vaccines are delivered directly to children most in need around the world. Also available through Inspired Gifts this year is K.I.N.D: Kids in Need of Desks- desks for schools in Malawi through which you can pick one or more students up off the ground. In addition to desks, notebooks and pencils are also available for donations worldwide. What’s more, for each donation of a UNICEF Inspired Gift your loved one will receive a card telling them about the Inspired Gift purchased in their name.